IPR matters can be very heavy and difficult entity for a startup, but the Business Generator at Aalto Startup Center helps startups with these IPR challenges. Here is a blog post that interests you, related to the topic. You can make your own story with us! We’ll help you get in shape and scale up in the Program Journey. ambitious operating company has to build a strategy around. The relevance of it is constantly changing and therefore it needs to be updated -as well as the business strategy in general to generate the consistency around it. If one wishes to understand the relevance of intellectual assets in building the value of a company, I usually start through the reference of value categories one can have through documented balance books of operating companies. 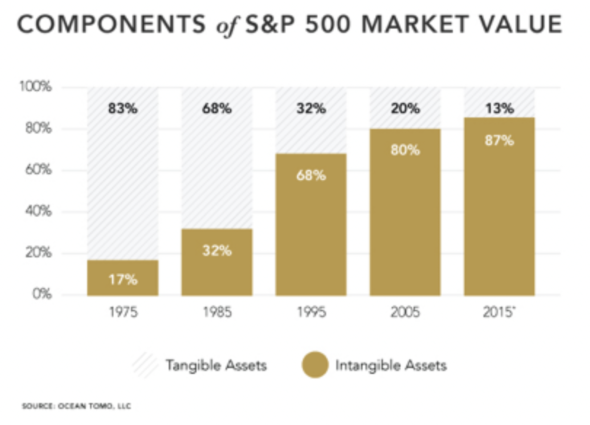 One can easily check that even the top-500 US companies have these days almost 90-% of their value in the intangible – as opposed to tangible – property of their portfolio. This obviously isn’t equal to the value of IPR that these companies have – but just as the tangible parts require insurance, so should the risks be taken care of in this part. 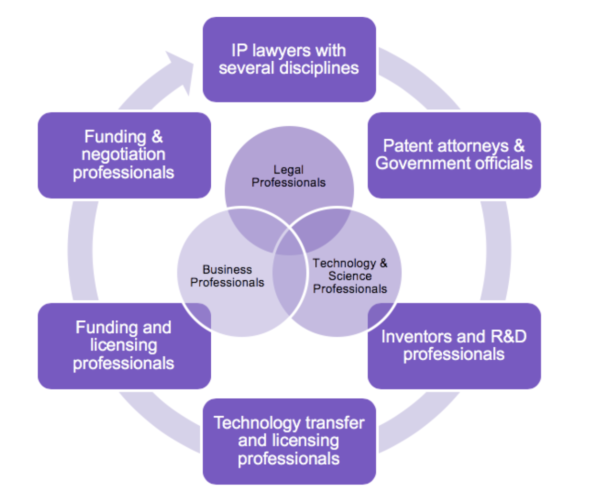 The natural tool to handle this, is the IPR – but besides having this passive insurance aspect it does have also interactive leveraging components that successful companies most often utilize. Obviously, the strategy build-up for start-up companies is a bit different than for bigger companies but the competitiveness is based on the same rules. What should a start-up then do in order to tackle the minimum requirements? Actually, one can do plenty – but one should be prepared to do some critical parts internally. First; get a full understanding of what is/are the intellectual assets that the company owns (and if there is a need for major investment, this exclusivity has to be secured), second; reflect this to the ownership of others and have what professionals in the business refer to as Freedom-to-Operate assessment of the company (major impact into your forthcoming company valuation and/or risk mitigation path), third; get full perspective of your IP situation in order to build a sustainable IP strategy that supports the business. Through the whole process – one should also keep in mind that trade secrecy is one crucial aspect to leverage your own IP and its relevance shouldn’t be underestimated. Ability to convince investors and partners (why not also competitors) with risk mitigation paths which take into consideration the competition real-time (updated FTO and competitor follow-up). Jari Rantala has a broad experience about innovation development, intellectual property, business coaching, technology transfer, international and national (Finnish) innovation policies, networks and actors in the field of both public sector research from and to industrial interface. Specialized in peering and commercialization of research based innovative technologies. Focusing especially on health-technology. During 20+ years of experience been involved in consultation of more than 2000 new technologies both from industry and academia. Jari is the one of the Business Advisor at Aalto Startup Center. He helps to Startups with their Program Journey. If you interested, please submit your application here.